← Scotts Valley Artisans Grand Re-Opening! It’s coming up on late winter on the Central Coast. This is the time of year when the market is flooded with a wide variety of citrus – many different types of naval oranges, as well as mandarins and tangerines, lemons, and grapefruits – all of which have their own way of brightening up our days. In the kitchen we’ve been very busy slicing and carefully transforming all of these wonderful fruits into delectable marmalades and jellies. This year in addition to the old standbys like Meyer Lemon, Cara Cara Orange, Meyer Lemon & Paige Tangerine, Blood Orange Marmalades, Meyer Lemon & Lavender Jelly and Spiced Paige Tangerines, we’ve also added Gingered Cranberry Orange with Domain de Canton and White Grapefruit Jelly to the line up. Our new Grapefruit Jelly comes from the most delicious grapefruit grown by my uncle. Each February we head to Napa to celebrate my cousin’s birthday and the annual crab feed hosted by the Kiwanas Club. Every year I take as many grapefruit as my aunt and uncle are willing to spare. Often times we head back to Santa Cruz with enough grapefruit to enjoy with our breakfast for a couple of weeks. This year however, there was an over abundance of fruit and it all came back to Santa Cruz, most of which was made into jelly! We’re loving the complex flavor profile that ranges from sweet, a little sour, and slightly bitter and we’re finding it to be quite enjoyable on a slice of sourdough with a bit of salted butter. As for the other marmalades, they’re quite wonderful too. They are all made in the traditional British style with perfectly candied citrus rind, suspended in a beautiful yet complexly flavored jelly. Each marmalade, although similar in style, have very different flavor characteristic dependent on the characteristics of the citrus used in each marmalade. The Cara Cara has brightly flavored aromatics with a sweet flavor in the flesh. While Meyer Lemons, on the other hand, have a very soft and floral characteristics. Then there is the ever popular Moro Blood Orange with its striking dark red color and unique essence. We hope you’ll enjoy our marmalades as much as we do. Stay tuned for the next post coming later in the week with the recipe for savory goat and blue cheese cheesecakes that we served at last Friday’s Twisted Tasting. 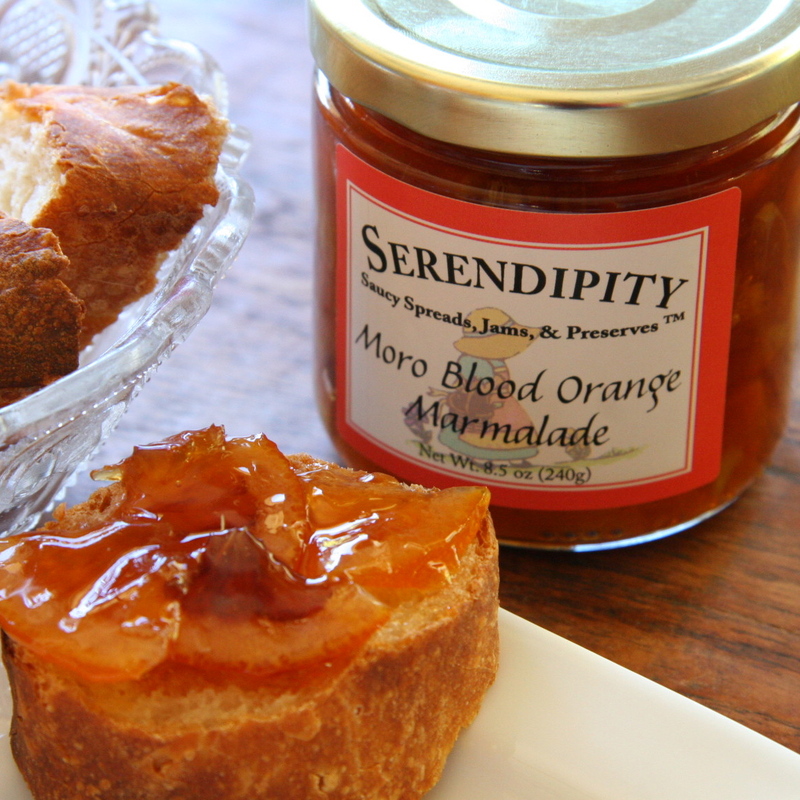 They were a huge hit paired with our marmalades and we promised to share the recipe! Lovely post! I just went and picked citrus locally yesterday, lovely red grapefruit, a variety of blood orange and lemons. You have inspired me to try something new! Wendy, thanks for the lovely words! In a few days I’ll have a wonderful savory blue cheesecake to go with all of your new marmalades.